Taiwan is preparing for the upcoming local elections. Currently, Han Kuo-yu is a popular figure in Taiwanese politics. For those who are unfamiliar with Taiwanese politics, Han is running for the mayorship of Kaohsiung, and this coming November 24, 2018, he would have at least a good chance of winning the election. Five months ago, nobody would have expected that. Han is a 2nd generation Waishenren (mainland Chinese who came to Taiwan after the defeat of the Chinese Civil War) and a long time Kuomintang (KMT) member. 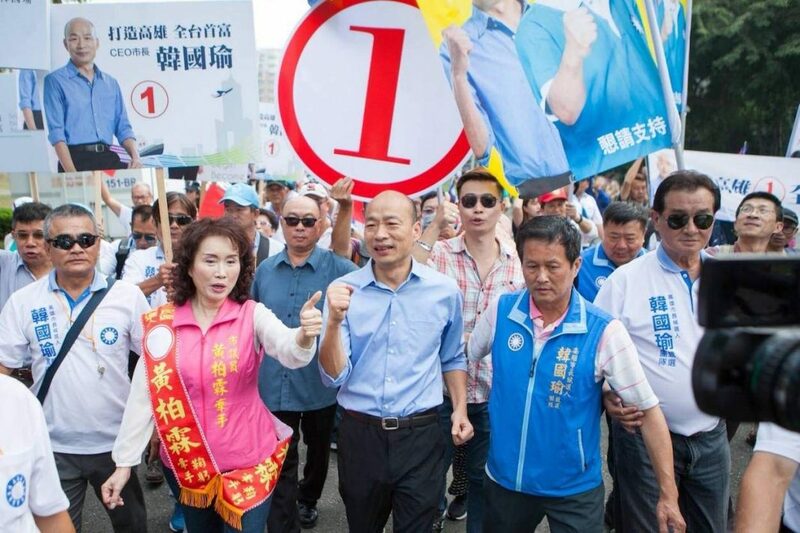 He was a KMT legislator for 3 terms and vanished from the scene after losing motivation to run for re-election. Two years ago, when DPP took power, Han re-appeared in the Taipei City Council defending his position as the CEO of Taipei Agricultural Products Marketing Corporation (TAPMC). He was hired to turn around the money-losing business when Ma Ying-jeou was the President. Since the government has a share in the company, DPP wanted the position to be filled with a DPP member, so the DPP legislators attacked Han’s legitimacy, competence and claimed corruption. Han was ousted as a result, but his defense during the city council sessions was an eye-catching performance that caught the attention of many KMT members. Han Kuo-yu defending his position against DPP councilor(s) back in 2016. Han was rather disappointed with the KMT though for not helping when DPP was bullying him, decided to run for the KMT Chairmanship election. Although Han did not win the election, he gained a lot of social media fans with his quick wits and charisma. The new Chairman of KMT, Wu Den-yih assigned Han to take over the position of Head of KMT Kaohsiung branch. Kaohsiung and many of the South Taiwan cities are considered domains of the Green camp. Sending Han to Kaohsiung was initially considered a “death sentence” to Han’s career. Nobody had any confidence in Han, for that matter any KMT candidate, to do well in the midterm election. 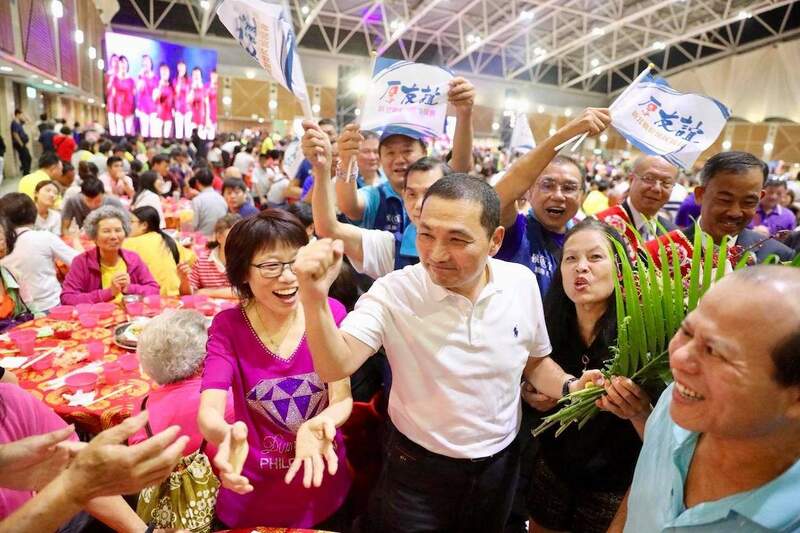 KMT lost credibility during Ma Ying-jeou’s 8-year reign, and the Sunflower Movement against the Cross-Strait Agreement on Trade in Services (CSATS) gave DPP the Presidential victory and the majority in the Legislative Yuan. The DPP quickly passed the bill to strip KMT of party assets under the “ill-gotten party assets” law. DPP also created a Transitional Justice Commission (TJC) under “The Act on Promoting Transitional Justice” bill passed by the DPP led Legislative Yuan. The TJC was set up to ensure that the 228 Incident and the White Terror that followed would be given due transitional justice. Unfortunately, as the midterm drew near, a leak was established that the TJC Vice Chairman, Chang Tien-chin, held meetings to discuss how they could influence the election by spreading false accusations against Hou You-yi, KMT candidate running for New Taipei City Mayorship. Hou was a national hero and a career policeman who was promoted to head the Taipei Police Force and the President of the Central Police University. Hou was invited to serve as the Vice Mayor of New Taipei City by Mayor Eric Chu, and is currently a candidate to take over Mayor Chu’s position when he steps down this year. The TJC wanted to tie Hou to the White Terror when Hou was working as an inspector at the Criminal Investigation Bureau (CIB). When the recording was leaked, the whole Taiwan island was horrified, causing the Vice Chairman of TJC and some of the executives to step down. The Chairman, Huang Huang-hsiung, also decided he could no longer remain in the position, and chose to resign shortly after the incident. Neither did President Tsai Ing-wen nor the Premier William Lai Ching-te make a sincere apology. TJC chairman (center) and committee members apologize during a press conference for the scandal. Prior to the incident, a torrential rain on August 23, 2018, lasting 7 days caused flooding to major parts of southern Taiwan, including Kaohsiung, Tainan and Jiayi County. The flood in Tainan and Kaohsiung left thousands of holes to the roads, some of them big enough to swallow trucks. 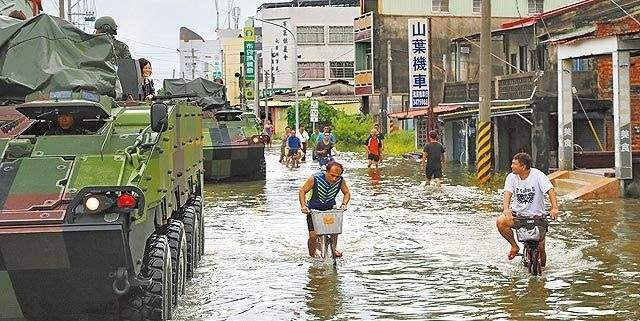 When the water began to subside, Tsai went to inspect the condition in Jiayi, and she mobilized military armored vehicle to take her through the receding water. Along the way, Tsai began to wave to the people, but her act was right away criticized by passers-by. The apparent attempt to avoid wading through water, went viral online. A much-needed propaganda opportunity was thus ruined. Tsai has been plagued with low approval ratings and poor economic performance in tourism and agricultural products. Since Tsai refused to recognize the 1992 Consensus, mainland tourist number has dwindled, and fruits and seafood exports to mainland China dropped drastically. As a result, traditional DPP controlled cities and counties are hardest hit. Kaohsiung, like Tainan, has been under DPP’s rule for more than 20 years. In the past, whoever won the DPP’s Primary would more or less guarantee victory in the mayoral election. Han Kuo-yu’s opponent from DPP, Chen Chi-mai, won the primary and was confident that he would easily clinch the majority vote at the end of the year. When KMT first announced Han Kuo-yu’s candidacy, Chen’s chances of winning were at least double that of Han’s. What Han did was not revolutionary. Han first spent time on the ground listening to the people about their needs. Since Han was the CEO of TAPMC, he got along with many of the farmers. 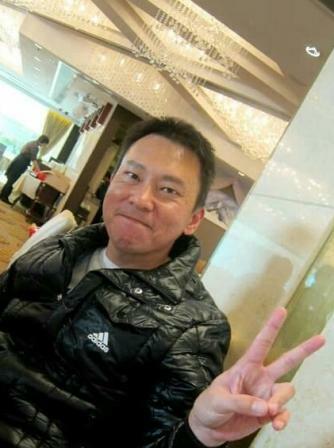 His down to earth personality also made him likeable in a mainly pro-DPP base. Han also knew he had no financial support from the headquarter. So, he had to fight a different fight. Next, he went to Taipei where most of the media are based, and took the fight on air. Han also recruited a few young school leavers to help him with social media strategies. Together with his daughter, who was a great help managing the online promotion, Han began to get his message across. Han focused on the economy, sharing his thoughts with Taiwanese, those from Kaohsiung in particular. Initially, Kaohsiung residents could not agree with his claims. Han went on to explain how Kaohsiung deteriorated from the world’s 3rd busiest port to no. 15. Kaohsiung residents were the richest people in the whole of Taiwan, but now young Kaohsiung residents have to leave and find jobs in Taipei, Taoyuan, mainland China, Hong Kong, Singapore, US, and many other countries. These “drifters” long for coming back to Kaohsiung but there are not enough jobs for them. Moreover, those working in agriculture and tourism are suffering from the ideological battle between DPP and mainland China. Han proposed to end unnecessary ideological antagonism and focus on rebuilding the economy. First, he proposed to open more markets for agriculture and fisheries. He would lead a team to look for potential buyers from mainland China, Hong Kong, South East Asia, Japan, Korea and so on. Next, Han would aggressively entice tourists by creating themes like wedding packages and “Motels on Ferris wheel” along the Love River in Kaohsiung City. He would also attract investors to invest in Kaohsiung, provide employment to Kaohsiung residents. Those who left Kaohsiung and want to come back to live and work in the city would be given priority. Han also promised to create an angel fund of NT$10 billion to invest in startups. Han Kuo-yu’s got the people’s attention, and unbelievably, words spread like wildfire and his popularity started to climb. His charisma and sense of humor made him a darling of the media and everyone started talking about him. “Was he for real?” Everyone would ask. 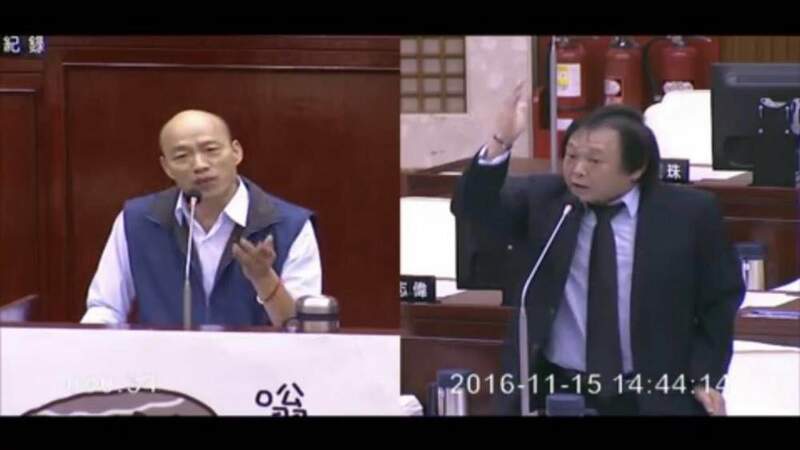 Some zealous netizens found video clips of Han’s defense in the legislative sessions while he was working in TAPMC, and posted the video clips online. As more and more people started to follow him, his popularity grew, and more media exposure for him. Eventually, Han became a darling of many Taiwanese, not just people from Kaohsiung. Even Chinese from all over the world began to take notice. Some are already calling for Han to run for 2020 Presidential election. DPP, on the other hand, suffered great setbacks in all major polls. As a matter of fact, Taiwanese joke that the largest political party in Taiwan is the “We hate Democratic Progressive Party.” On November 24, 2018, we will see if DPP would retain any seat in the midterm elections. What is the lesson here? Taiwan has wasted more than 30 years dwelling in ideological infighting. Ever since electoral democracy was introduced in Taiwan, the island has been a divided entity; Benshenren (Localists) against Waishenren , Pan-Green versus Pan-Blue, Workers to Civil Servants, Rich against Poor, and Taiwan against Beijing. Thirty years ago, Taiwanese could afford to be idealistic when Taiwan was the richest among the 4 Asian Tigers. However, years of infighting and poor governance has resulted in a high-tech IC-based economy that relies on mainland China for 40% of its exports. Those who are fortunate to be in the IC industry do well, but 80% of Taiwanese struggle. Without a huge market like mainland China for agricultural products, and tourism, the rest of Taiwan suffer. Ultimately, it is the economy that would bring food to the table. Politics will never resolve people’s livelihood. The earlier Taiwanese realize the truth, the better they could pick themselves up and hopefully grow as the Republic of China (ROC) again. This would also bring peace to the region. The Han Kuo-yu phenomenon not only gave the grassroots a sense of hope, but it also brought out the Chinese-ness in them. 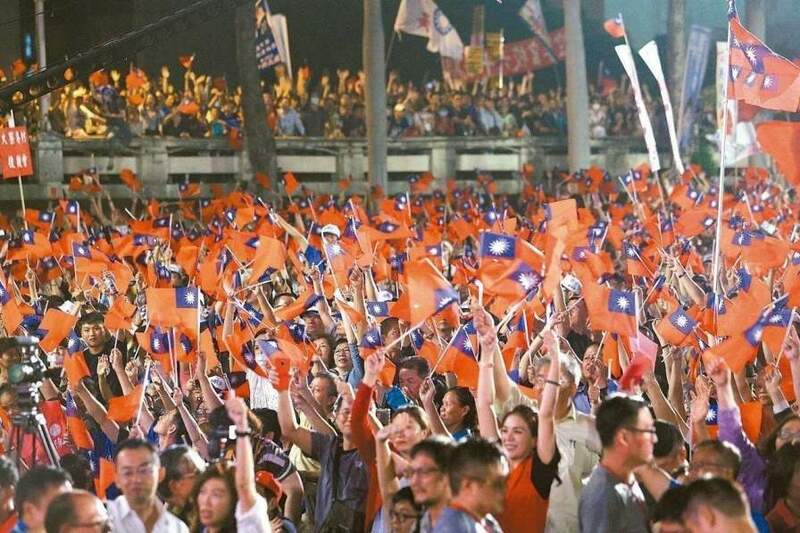 This is the first time the ROC flags are flying again during elections. Recent polls also reflect a higher percentage of Taiwanese who think they are also Chinese, and those in favor of unification rose to a record high. This also serves as a lesson to Hong Kong, the UK, US, and all electoral democracies that it’s the economy, stupid! Joseph graduated with a degree in Business Administration from the National University of Singapore and is a CFA and CAIA charterholder. He enjoys geopolitics and study international politics extensively. Joseph currently lives in Hong Kong.